When asked to make a teething necklace by a friend, I couldn’t get to my my local craft quick enough. I was on my bike before the request was even in. 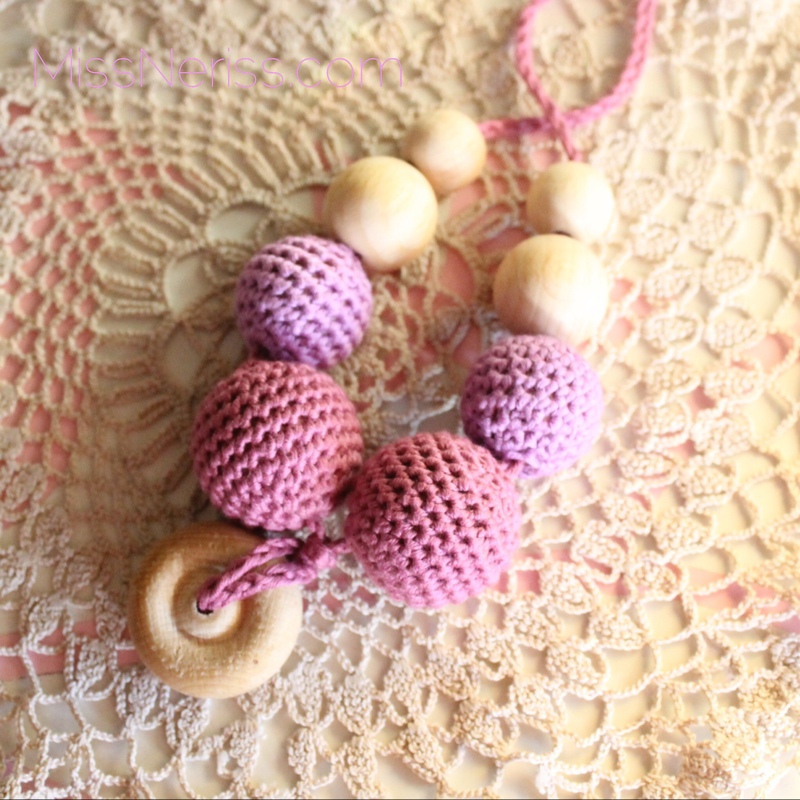 The idea behind the teething necklace is to give a baby a safe and interesting distraction while breastfeeding. The baby can play with the balls and feel the different textures instead of digging their sharp little fingernails into already sensitive and tender skin. I wish I’d thought of it when I was breastfeeding. I made it as simple as I possibly could, and also so that the beads could be taken off and rearranged into what ever style or colour combo that takes your fancy. I love it. The next one will be a rainbow coloured one. Just need more beads! 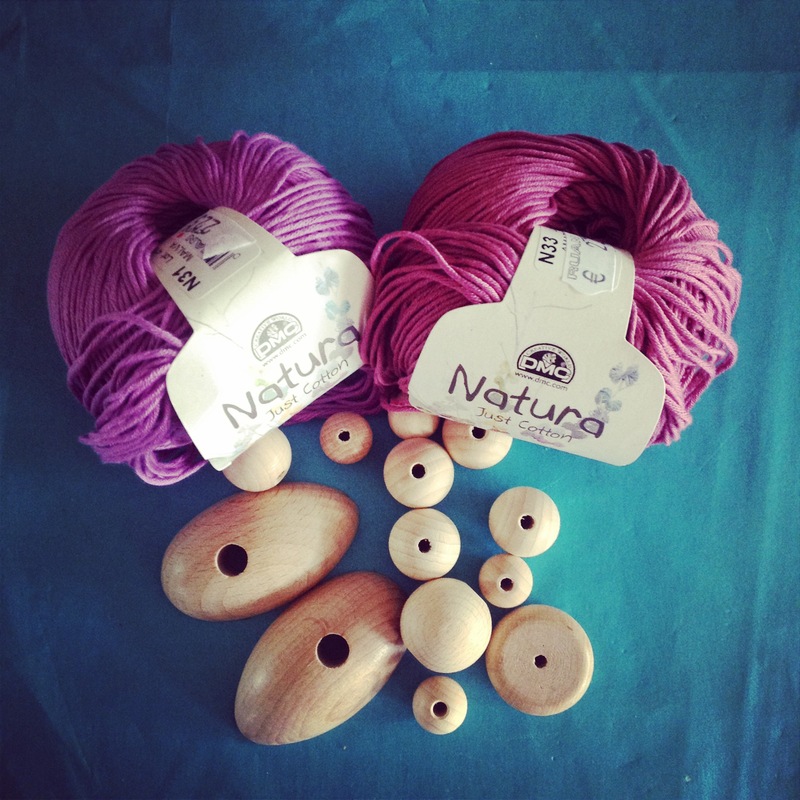 This entry was posted in Monday, Projects and tagged baby, breastfeed, breastfeeding, craft, DIY, haken, hand crafted, hand made, handcrafted, handmade, MissNeriss, Obsessed with Crochet, pinspiration, teething, teething necklace, yarn. Bookmark the permalink. Do you have to breast feed to wear this? Definitely not. I’ve seen them all over before I heard of using them for teething. The next one I make I think will be for myself and. O fear of any breast feeding here! lol! I am glad that anyone can wear them!